Today, on January 6, Mexico is celebrating the arrival of the Three Kings to Bethlehem. Every 6th of January people tell the story of the journey of the Three Wise Men to remember and celebrate the ‘Epiphany’ or the ‘Holy Kings’ – that is the arrival of the Three Wise Men to Bethlehem (Bélen in Spanish) to adore the child Jesus. Originally this important event was celebrated via de ‘Holy Light’, to welcome the light and longer days after wintertime. This was a Pagan tradition in the 1st to 3rd Century A.Ch. Much later, in the midst of the 20th Century, the tradition to write to the Three Wise Men was brought to life. After receiving all the letters, the three men would bring gifts to the children. Who are those Three Wise Men? For those of you who have seen them only in nativity scenes, or who don’t quite remember their significance, here some information. All of them followed a bright star lighting up the dark sky that guided them to Bethlehem, where baby Jesus was born. Some say it was never official that they were a number of three men, but that this was made up later on. It is said that they came from various continents: Europe, Asia and Africa. If you take a close look to a nativity scene, you might notice that all of them carry something: Gold, Frankincense and Myrrh. Why? Well, some say that Gold is associated with Kings, and Jesus is the King of Kings. Frankincense is at times used in worship in churches and shows the divine. In some explanations, Myrrh stands for masculinity or is used as a perfume to put on dead bodies to make them smell nice, which shows that Jesus would suffer and die. 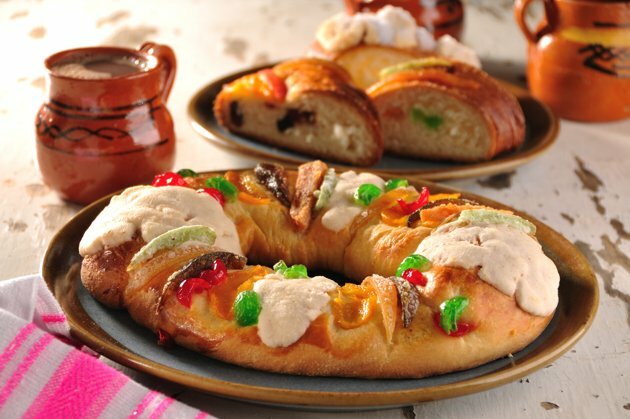 Even though more and more families choose to celebrate the arrival of Santa Claus during Christmas, there are still sufficient families who celebrate Los Reyes Magos. If one day I will be lucky to have children, I will definitely choose this tradition to be celebrated. Before January 6, children may write three things they wish to have on a piece of paper to the Reyes Magos. On the 6th of January, these wishes will (partly) come true. Children can wish for toys, but in Mexico many kids also choose to wish for peace, health and happiness. Three Wise Men (‘the Three Kings’) and is adorned with dry fruits. Inside, Child Jesus is hidden in the bread, representing the moment when Joseph and Maria had to hide their child for Herod. When you find little plastic Jesus in your piece of bread, you’re the one who has to organize the celebration with tamales on February 2nd; Día de la Candelaria (midpoint of winter). In theory this means: Prepare your home for A LOT of people enjoying food and drinks that specific day in February. Because in Mexico, every day is a day to celebrate! 4 This is what a plastic baby Jesus looks like. Be careful for your teeth! 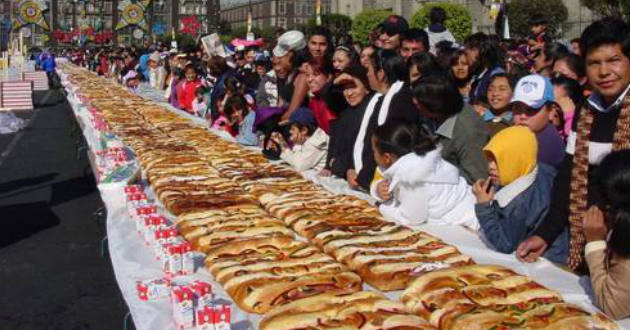 5 Last year I couldn’t assist to the traditional Rosca-eating at work, so my co-worker made me participate in this way. 5 Photo taken by my dear (ex)colleague Erin, January 2015. Great article! I miss you so much. 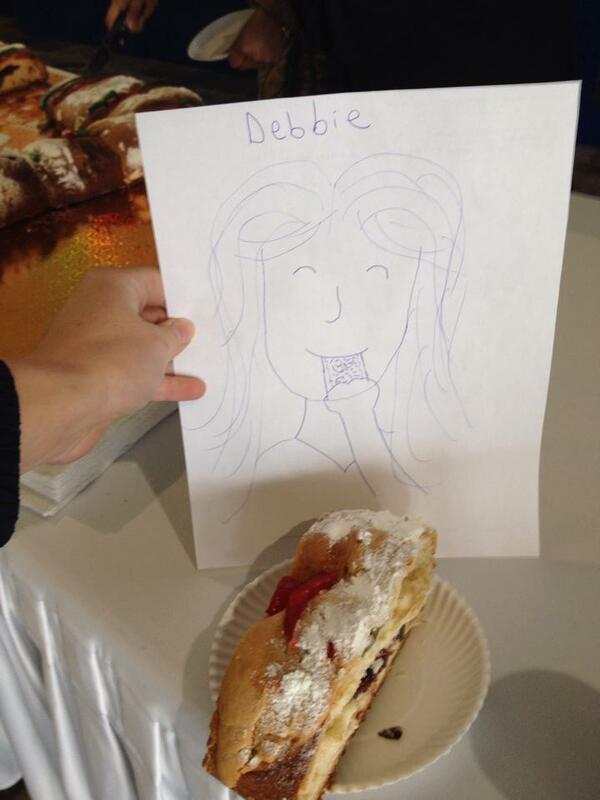 I’ll have to make another paper Debbie! Thanks a lot Erin! I miss you too. Now it’s going to be me who has to make a paper friend!